White ink circulation system, the white ink will be flowing every 30 minutes from the ink tube to the ink cartridge/damper, which will protect the printer head be blocked from the white ink. 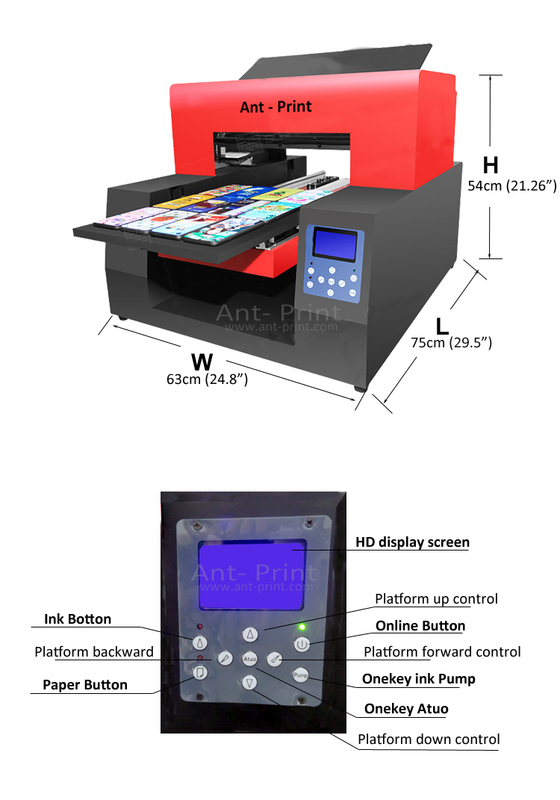 High-end display screen that can help you know all the printing situation of your printer. Pump Onekey: Do the ink suction automatically, no need do the ink suction by hand anymore. Auto Onekey: Printer with head protection system, adjust the height automatically. It can protect the printer head from knocking, no need adjust the printing distance by hand while it is printing. 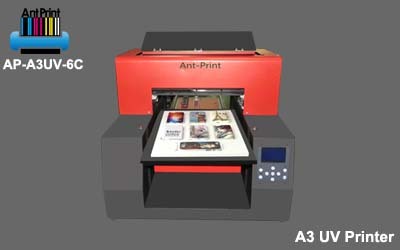 After adjust the printing distance, the printer will feed your products to the printer and printing directly. One “Click” to print: no matter where your printer platform is, after you put your products on the platform and click ” Print ” in the newest RIP 9.0.3 software, the printer will feed the products > adjust the height automatically > print directly. The printing is pretty easy. Object Pretreatment 98% Direct print, except too smooth material, such as metal, glass and ceramic. Feel free to sent “Inquiry ” to us and we will reply you within 1 hour!